Following Pikatron's 2011 acquisition of TAE Antriebstechnik GmbH, CP Automation now stocks the company’s complete range of Brake Chopper Units (BCU). 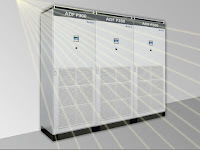 TAE Pikatron BCU’s provide an ideal retrofit solution for variable speed drives (VSDs) and inverters in a market where VSD manufacturers are increasingly reluctant to offer and stock add-ins to their core products. A key benefit of TAE Pikatron BCU’s is that they are rated at 100 percent duty of the VSD, which not all brake choppers are. Some cheaper units only provide duty as low as 30 percent. CP Automation holds in stock up to 100kW continuously rated or 360kW peak. Using the TAE BCU’s, multiple drives on a system can all be connected to one brake chopper and resistor combination. Another benefit is that TAE Pikatron BCU’s are compact ‘fit-and-forget’ units with nothing to set up and configure. This is a strategy CP Automation has adopted with other products they specialise in including resistors, regenerative units, RFI filters and passive inductive components. “Our product range is now very wide,” explains CP Automation business development specialist John Mitchell. “Unlike other solutions today, the TAE products don’t need multiple units configured in a master/slave design, using up valuable panel space. However, the units do have the option to be configured in master/slave mode for applications larger than 100Kw continuous. CP Automation’s engineers help ensure each design is the most effective for the end-user application. No separate control voltage is necessary for the control board and emergency stop is possible even after a power failure because control is powered by the DC bus. Variants of the TAE product include Fault output modules and options for 230VAC VSD’s and motion control systems, with a future range due to be released shortly for 600V AC VSDs. The unit currently available can be used worldwide, with input bus voltage from 200-440V DC or 450-800V DC. It can also be set in the factory to switch at a pre-specified custom required voltage. An external dynamic brake chopper can be connected to the positive and negative terminals of the DC bus of a variable speed drive (VSD), protected by ultra-fast fuses. The resistor terminals on the chopper are in turn connected to the brake resistor terminals. The compact unit has operating, fault and standby indication using LEDs and exploits state-of-the-art insulated-gate bipolar transistors (IGBTs). Featuring easy start up with no adjustment necessary, the rugged metal case provides the high levels of electromagnetic compatibility (EMC) performance and is earth and short circuit protected. When the chopper is active, minimal voltage ripple appears on the DC bus. 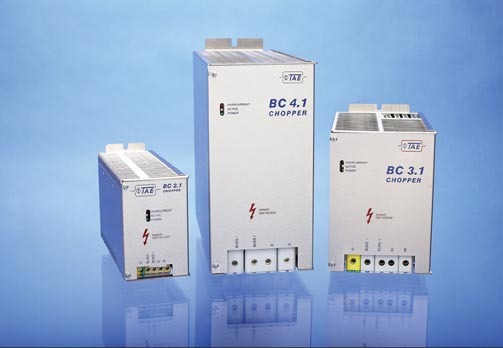 Brake choppers for a 230VAC Inverter with 200-440V DC bus come in nine models, which will handle continuous power from 5.5kW to 41kW, peak power from 16kW to 185kW, continuous current from 15A to 110A, and peak current from 45A to 500A. Brake choppers for a 380-460V AC inverter with 450-800V DC bus also come in nine models to handle continuous power from 11kW to 100kW, peak power from 33kW to 360kW, continuous current from 15A to 110A, and peak current from 45A to 500A. outside the brand new offices in Stone. 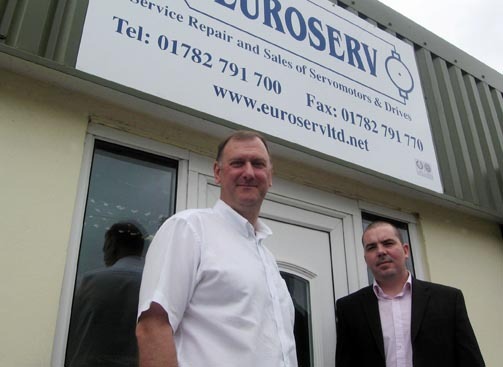 Industrial Automation expert Euroserv Ltd has acquired an additional workshop facility in the Midlands and hired Simon Dean as workshop manager. Located near Stone, Staffordshire, the new premises will allow the company more room to grow as a business. 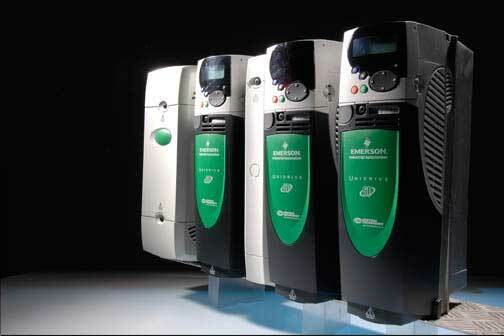 Euroserv is the sister company of sales and service specialist CP Automation. Euroserv will be able to offer its services to large OEMs, including those with which the company already has business relationships in the Midlands, as well as new customers in the area. The company chose organic growth instead of acquisition. “The original plan was to look at buying a business, but then it was decided with the team at Euroserv in Sunderland that we would strategically follow this route instead,” explained Tony Young Managing Director of CP Automation. “In the last seven years, Euroserv has grown dramatically. We were looking at moving into an additional unit next door or to a new unit altogether because we have completely outgrown the current space in Sunderland. “A new unit in Stone made perfect sense. After having discussions with the team in Sunderland, we decided that the long term aim is to generate more business here in the Midlands that we have not been able to service to our high standards before - due to locality. “I'm sure we're going to be repeating the success we had when we started up in Sunderland and, in the longer term, increasing the size of the workshops in Stone,” concluded Young. Simon Dean adds: “Having worked in the servo motor repair industry for many years, I plan to bring several customers on board. We've got good relationships with big OEMs in the country that have facilities in the Midlands.